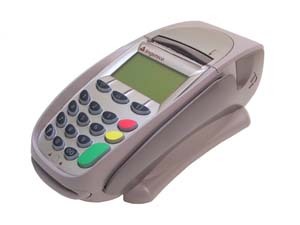 The i3070 is built around Ingenico’s industry-proven High Security Core (HSC) to assure protection of customer data and application management. Fully EMV and PCI PED approved, and supporting the latest international security algorithms (DES, TDES, RSA, DUKPT and Master/Session), the i3070 features an optional privacy shield for additional peace of mind. Our price is shipped, out of the box, fully encrypted, and ready to use with our merchant services.